Few things feel as horrible as being a disappointment on Mother’s Day, except maybe the headache most of us have experienced on New Year’s Day. You knew Mother’s Day was around the corner and had big plans for a Sunday brunch, a beautiful bouquet and the perfect gift that you knew would have your mom sobbing happy tears into her eggs benedict - then life happened. It’s okay – we’ve all been there and luckily for you, brands understand the struggle. Social media has opened the door for brands to create experiences on Mother’s Day that capture and celebrate the beauty of motherhood, embracing the good, the bad, and the funny. Marketers need to get personal and offer experiences for each individual mom. Even if you may have forgotten that this Sunday is Mother’s Day, your mom’s favorite brand is there to save you with a quick and easy gesture that still may get your mom to shed a tear or two. 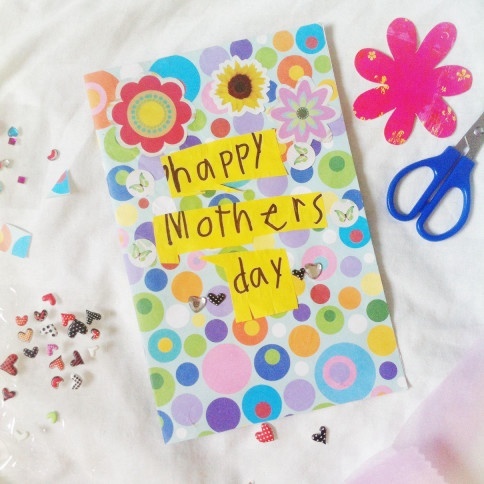 We’ve assembled some tips and examples on how your brand can drum up some excitement and get consumers participating this Mother’s Day. While we may not have the scientific proof to support our claim, it is widely known that everyone likes a giveaway – especially moms. One of the easiest ways to get consumers excited about your campaign is to offer a timely Mother’s Day Sweepstakes; to further set your giveaway apart, also consider adding a personal touch. 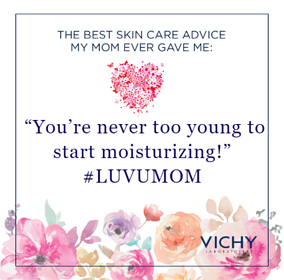 For Mother’s Day this year, Vichy USA paired a giveaway with an eGreeting Creator encouraging people to share a personalized greeting card to thank their moms for the great skin care advice throughout the years. What mom doesn’t appreciate being told she was right? Moms love nostalgia, and it’s a valuable tool to increase consumer participation. There’s a reason why Throwback Thursdays are so popular on Instagram, Twitter and Facebook! Taking advantage of this trend on Mother’s Day is a great opportunity to encourage consumers to share stories, photos, and videos that matter to them and their moms. Ashley Stewart took full advantage of nostalgia and the relationship between mothers and their daughters for their #ASMOMSPIRATION contest by encouraging their consumers to share their inspirational mother and daughter story for the chance to win $500 in gift cards. Forget about the flowers, gifts and brunch, sometimes the most special thing someone can give their mom on Mother’s Day is a simple, “I love you.” Likewise, a simple ask with a personal touch can go a long way with consumers. Consider a co-created content campaign, where your consumers can directly upload their personal photos on top of a sentimental message for mom on her special day. Casa Fiesta understood the power a simple, but personal message. They created a Photo Lab gallery where their consumers could upload personal photos onto a frame with messages like, “#MiMadre is my best amiga,” or “#MiMadre is my hero.” Co-created content is a great opportunity to allow your consumers some creative freedom, while still incorporating your brand’s voice and visuals into the posts. For more ideas and tips on how to step your digital marketing game up, check out our case study and resource page here.